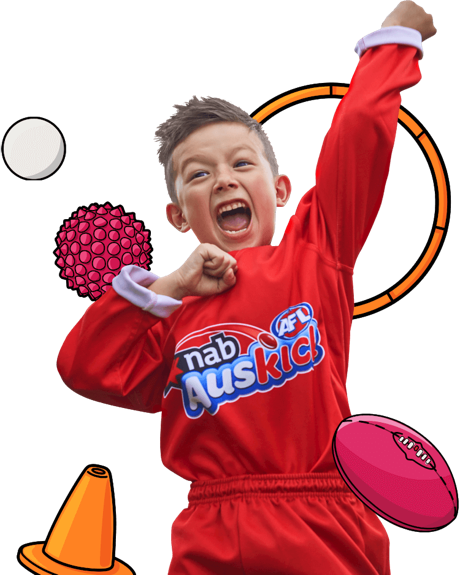 NAB AFL Auskick is simply the best introduction for kids into the world of Australian Football. 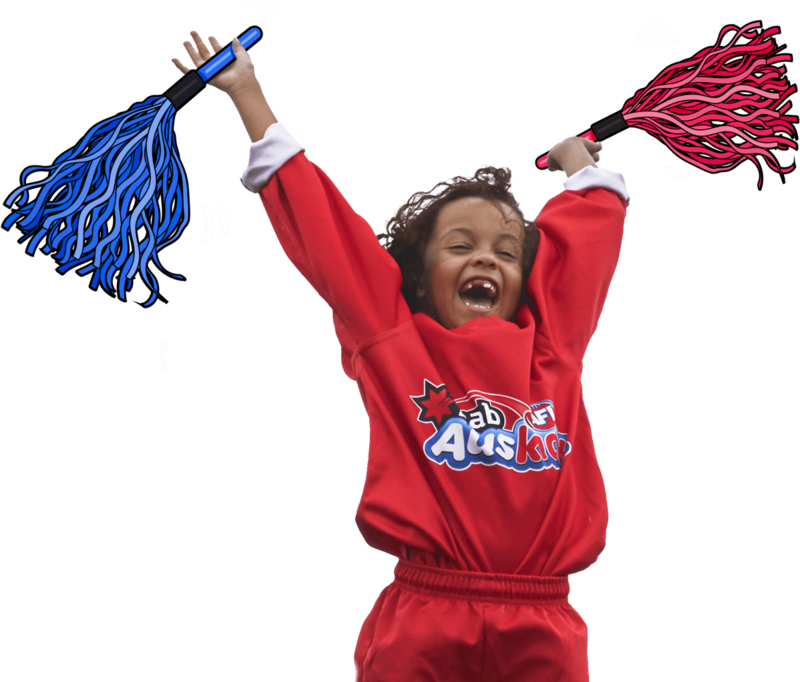 Auskickers run, jump, kick, laugh, express themselves and create their own special moments that just happens to be footy. 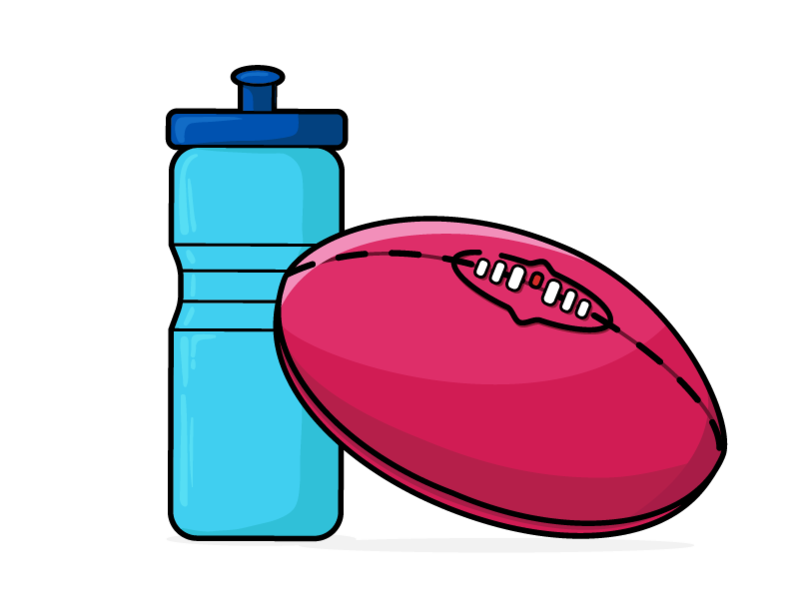 No matter if you know the game or not, Auskick is inclusive for everyone aged 5-12 at any ability to play. 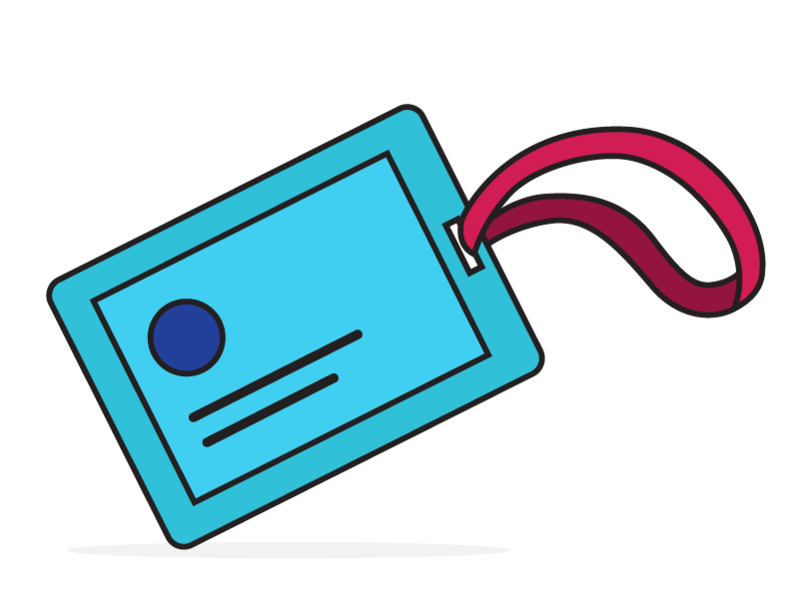 Super fun game-based activities that kids absolutely love. 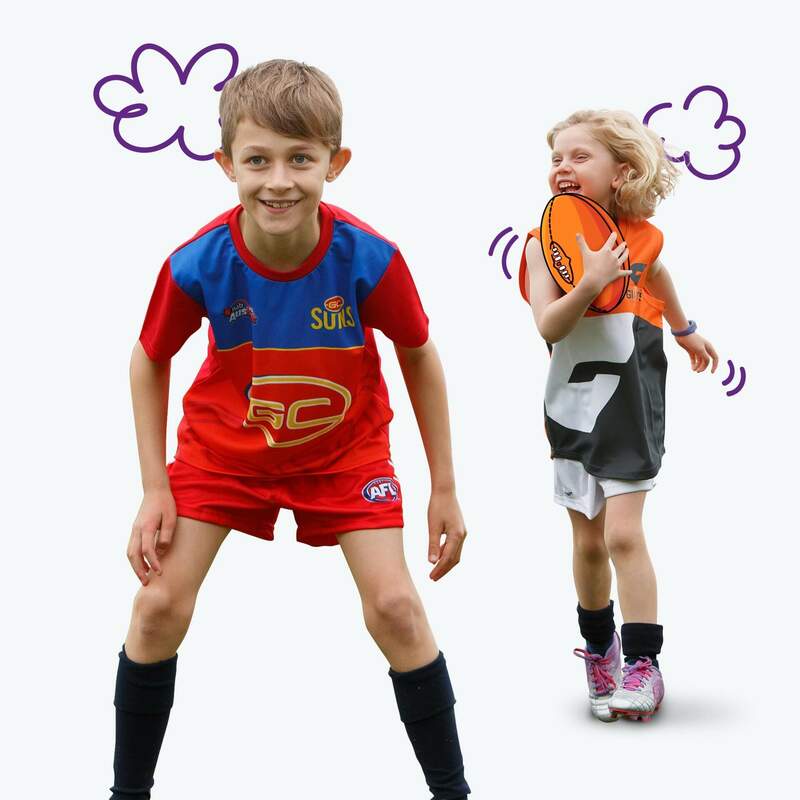 Less intricate footy drills, more exciting games with a footy twist tailored for different skill levels. Non-contact activities using footballs and round balls of all different sizes so kids can participate and safely grow to their individual needs. 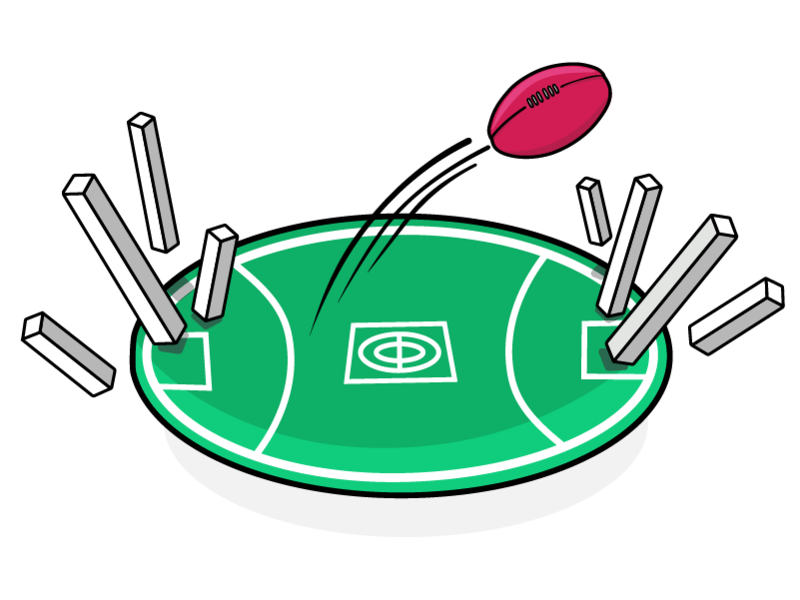 Kids build fundamental motor skills and learn what it means to play as part of a team, whilst teaching them the basics of Australian Football.